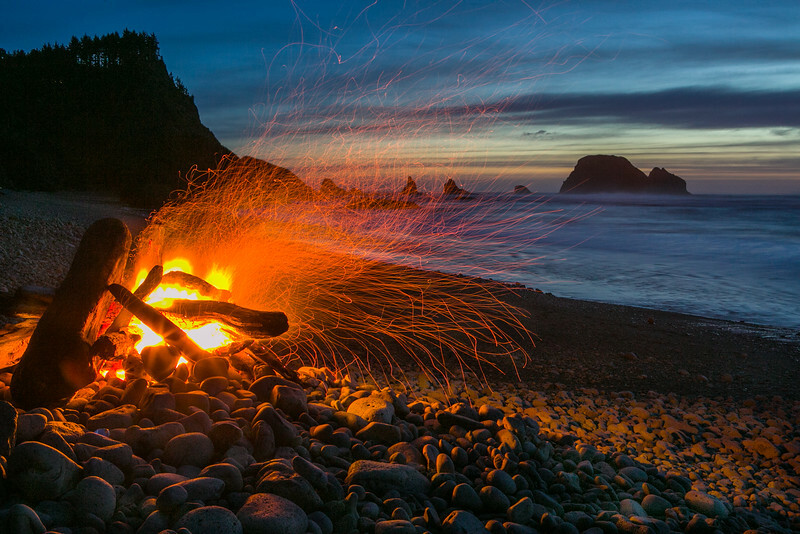 It's hard to beat a warm fire by the beach. I always enjoy the peace and tranquility of watching the sparks blaze through the sky at night. Beautiful! Very well done, Robert.